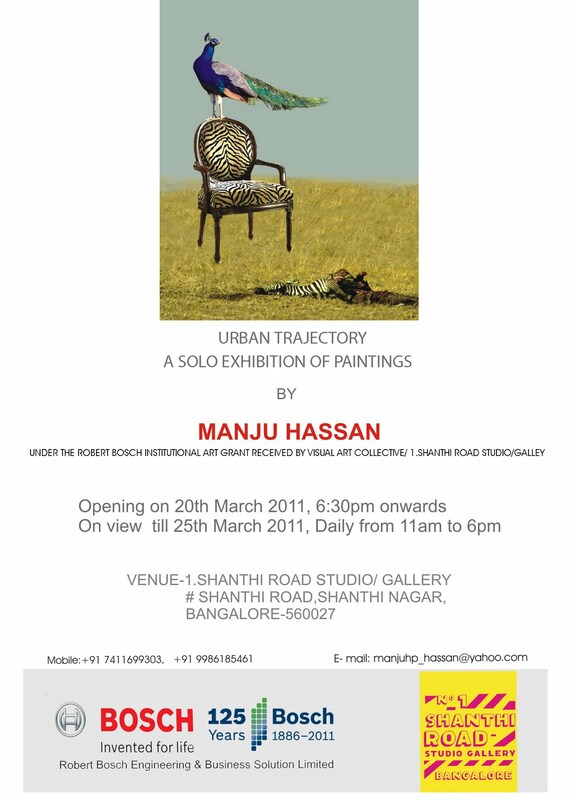 Some more shows in the city - Rameshwar Singh at Crimson Art Resource & Manju Hassan at 1 Shanti Road. Incidentally, the latter ends on 25th this week and I must catch it before that as the images Manju sent have piqued my interest! 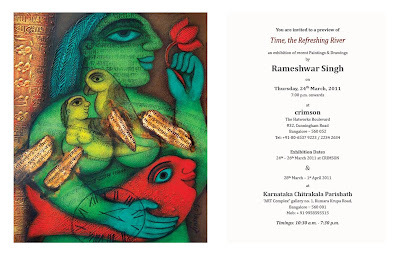 I have to say I am a little surprised at the venue - a paintings exhibition at Suresh Jayaram's place - that's a rare phenomenon!!! 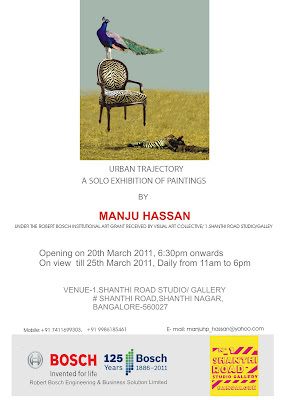 Those of you who are familiar with 1 Shanthi Road will know that it is 'the place' for experimental art and a wonderful space that nurtures alternative art practices.